From the moment we released our 2018 schedule last fall, we were eagerly anticipating July 21 and 22. Now that we’re just days away from those dates, we’re even more excited about the fun that’s in store! What makes these days so special? 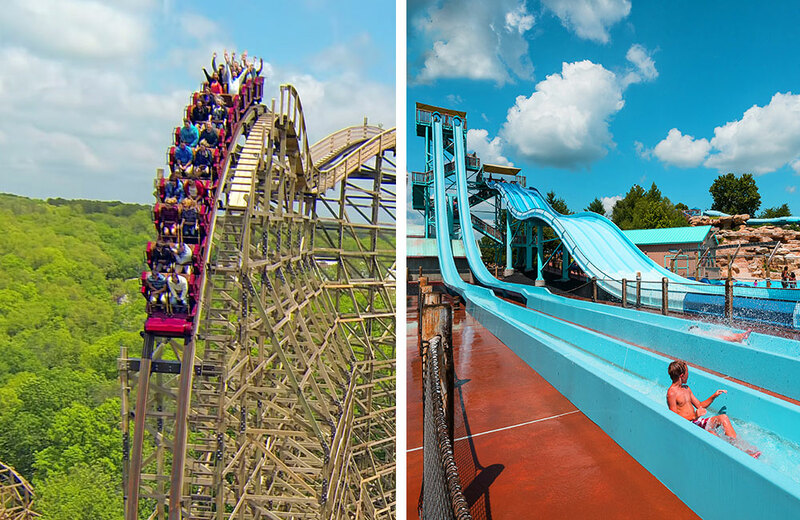 July 21 and 22 are the only two days of Silver Dollar City’s entire operating season where there will be two festivals going at the same time! It’s the final two days of our Star-Spangled Summer festival, plus the opening weekend of our special Moonlight Madness event. Whether you love rides, shows, food or all of the above, you’ll find something special at Silver Dollar City. Plus, you can complete your ultimate weekend by taking part in extended hours at White Water on Saturday. Here are 11 reasons to visit during this Summer Celebration! 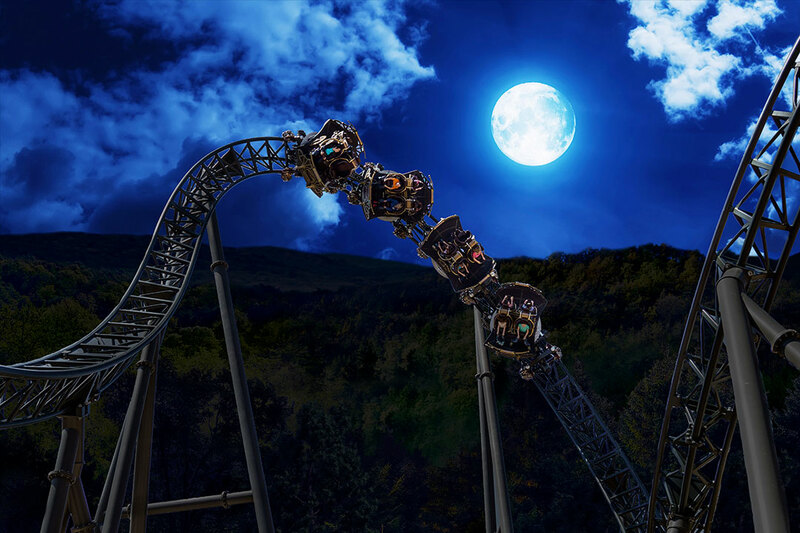 Silver Dollar City will be open from 9:30am to 10pm on both July 21 and 22, giving you 25 hours of fun! You can ride all day and into the night on more than 40 thrilling rides and attractions, from the all-new Time Traveler™ to the family adventures of Fireman’s Landing® and The Grand Exposition. Plus, beat the heat on our super-splashing water rides like American Plunge, Lost River of the Ozarks and RiverBlast. Our Star-Spangled Summer festival ends on July 22, which means that’s the last day to see the festival’s marquee entertainment. 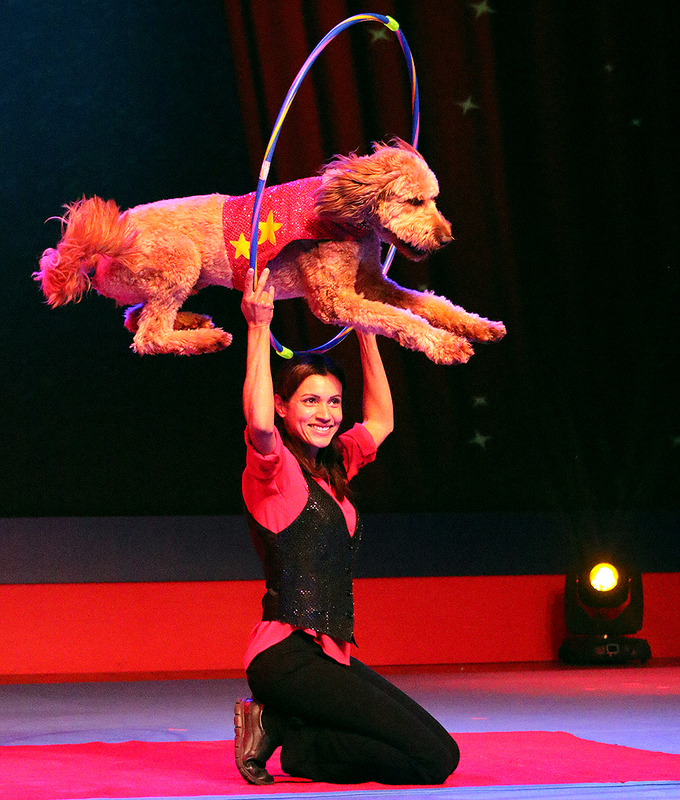 Thousands of guests have already been wowed by the high-flying canines in Chris Perondi’s Stunt Dog Experience and the tight harmonies of a capella music icons Rockapella. Each of these shows is FREE with your park admission, so make plans to see them before they end! If you enjoy great live entertainment, you’re going to love Chris Ruggiero. We’re very excited to welcome this talented entertainer and his One-Man Variety Show to Silver Dollar City for the opening week of Moonlight Madness. You may have seen his highly entertaining act on The Ellen DeGeneres Show, where he juggled fire while balancing on a ball! We can’t wait to see what kind of amazing stunts he has planned for our audiences in the Riverfront Playhouse. Watch the video above to learn more. Hits From The Hollow gets bigger and brighter during Moonlight Madness, as Silver Dollar City closes the nightly variety show with a Fireworks Finale Presented By Humana®. 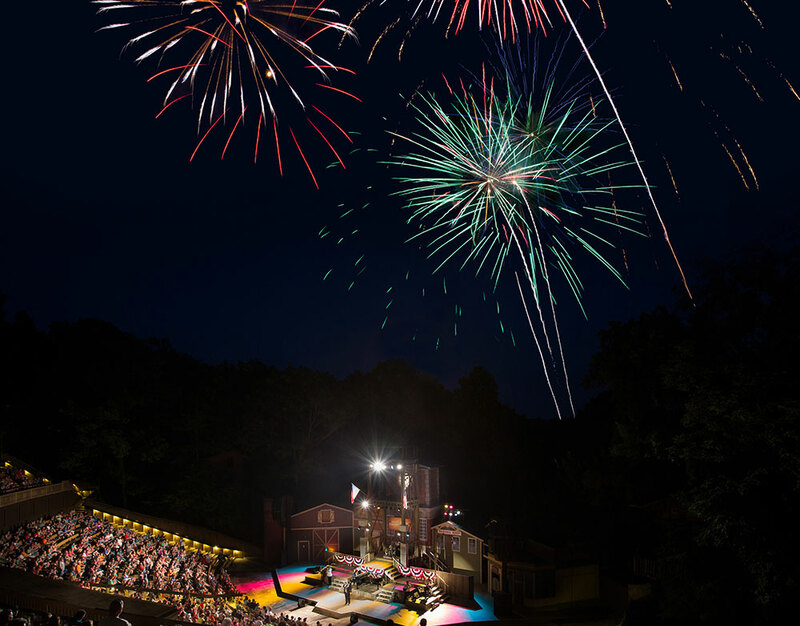 July 21 and 22 are the first chances to see fireworks in Echo Hollow® Amphitheatre this year. Arrive early and end your day with a bang! Put on your dancing shoes and join Prince Ivan on the Silver Dollar City Square! 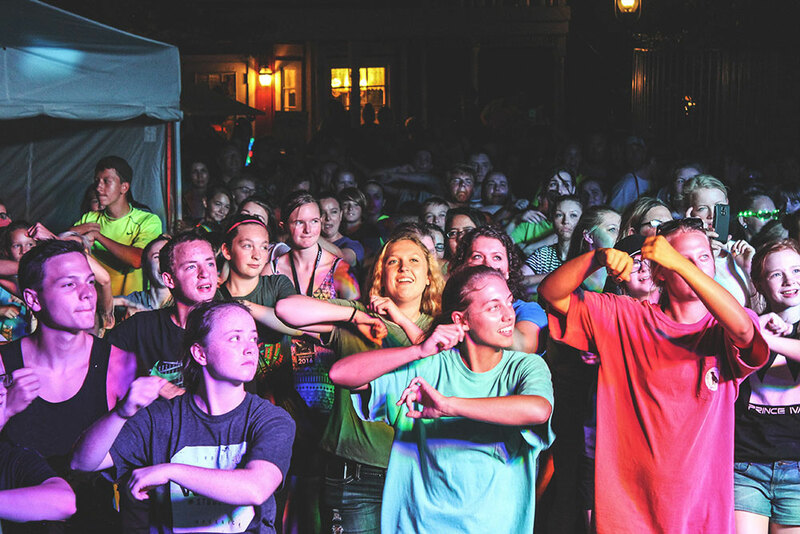 Our nightly street dances begin July 21 and feature great music and great energy to keep the celebration going strong. Coupled with all of the other entertainment options available, it’s going to be 12+ hours of nothing but fun. 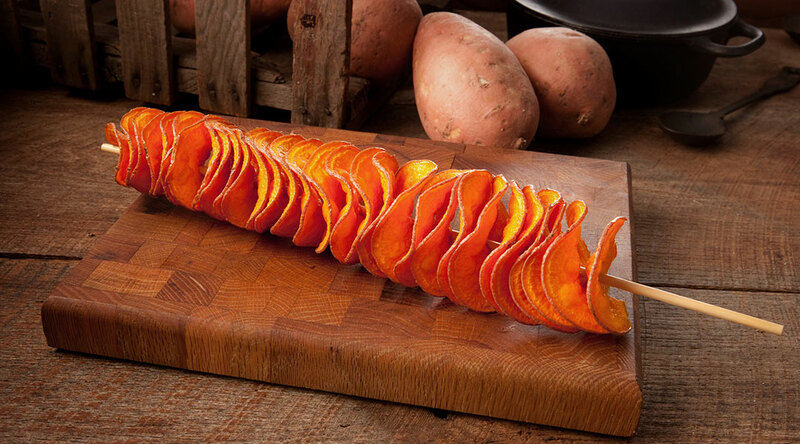 From great deals on your favorite treats to brand-new menu items you've just got to try, we’re debuting limited-time Moonlight Madness specials that are too good to pass up! July 21 and 22 are your first chances to enjoy a popular Chocolate, Chocolate, Chocolate Roll at Eva & Delilah’s Bakery or cool off with a 44oz. ICEE®. Plus, even more special deals begin at 7pm each night. Click here for the full list. 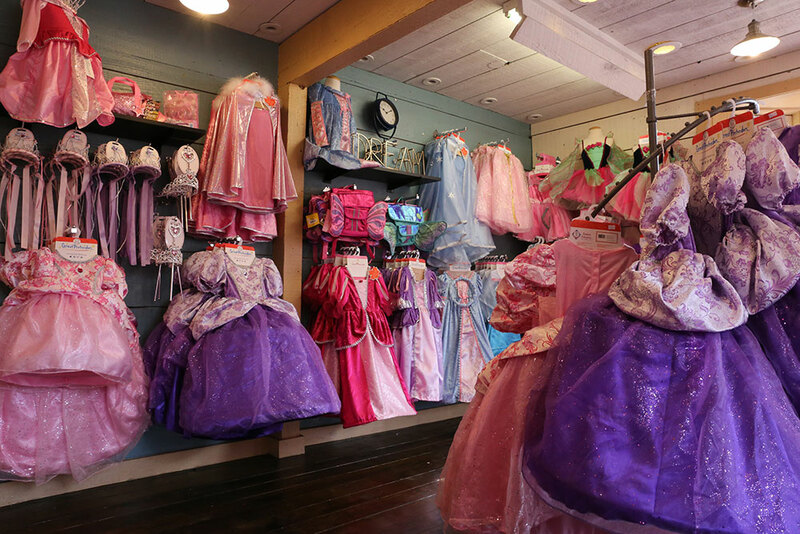 July 21 and 22 are also the first chance to take advantage of special deals on Silver Dollar City merchandise, food and games. With specials and exclusive deals beginning 7pm, you’ll find ways to save on souvenirs at shops across the park. Plus, pick up a limited edition, glow-in-the-dark Moonlight Madness event T-shirt. Click here to see all of the special deals that begin this weekend. 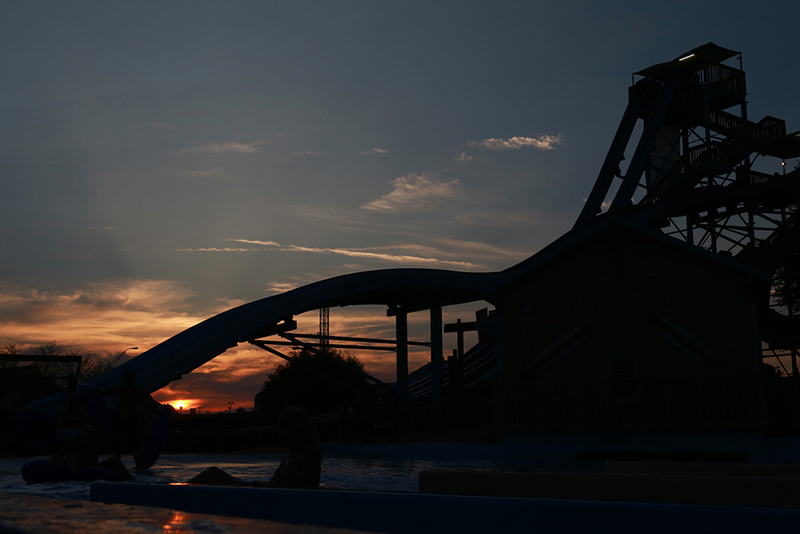 Enjoy 12 hours of waves, rides and slides at White Water on Saturday, July 21, during our special Night Water event. Our 13-acre water park is open from 10am to 10pm every Friday and Saturday through August 4. Spend a day relaxing in the Aloha River at Hula Hula Bay or Surf’s Up Wave Pool and enjoying thrilling slides like KaPau Plummet, Kalani Towers or Ohana Falls. Plus, you can end your Saturday with a Fireworks Display just before park closing, as we illuminate the Branson strip with a stunning show. Looking for the best way to experience everything we have to offer this weekend? We recommend a Splash & Play Ticket, which gives you unlimited visits to Silver Dollar City and White Water for three days within a five day window. Enjoy the freedom to come and go to both parks as you please! Starting at just $31 per day for adults and just $23 per day for kids, it’s a great value for a summer getaway. Plus, Splash & Play Ticket Holders get exclusive coupons for on-park savings. Learn more about these tickets here. Planning on visiting again? You can get unlimited visits to Silver Dollar City and White Water all season long with a 2-Park Season Pass. Please Note: Fireworks displays and outdoor shows are weather permitting. All prices subject to tax. All offers subject to change without notice.